Looking for a Used MKX in your area? 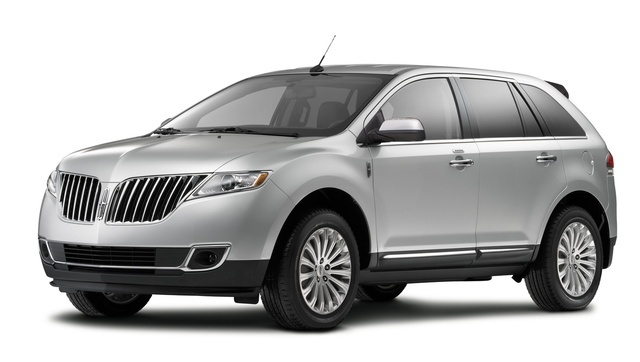 CarGurus has 5,158 nationwide MKX listings starting at $2,900. Everyone knows Lincoln offers high-end versions of more than a few of its Ford counterparts, and the 2015 Lincoln MKX is, alas, no exception. In resembling more and more its constantly evolving Ford Edge stablemate, this 5-seat midsize luxury crossover is expected to enter the upcoming model year relatively unchanged. But rumors are swirling that upgrades unveiled in China in early 2014 may adorn domestic versions midway through the 2015 model year, though the probability is we here in the U.S. will have to wait for the 2016 model year for real changes. The venerable Ford/Lincoln conglomerate has, after all, long coveted a prime corner on the Asian… make that the indisputably ripe Chinese… market. The automaker is, therefore, planning not only a huge increase in overseas sales, but the opening of a number of manufacturing facilities in this populous country, with the next-gen MKX expected to shine in this oriental overture. Anyhow, said changes to the next MKX generation are expected to include a number of tweaks to the aging profile, including a horizontally flowing grille design and a racier roofline that, alas, drops a bit lower in the rear. Full-width taillights and standard 21-inch alloy wheels, along with the inevitable improvements to standard and optional goodies, are also on tap. Although roomy enough, and with an almost endless array of plush adornments and nifty techno-goodies, the 2015 MKX will doubtless once again suffer the slings and arrows of those numerous reviewers who feel that its Ford Edge counterpart offers nearly identical posh at a more value-conscious price. Furthermore, that lower roofline mentioned above will almost certainly cut into the already somewhat paltry 68.6 cubic feet expected back in the 2015 iteration. But enough doom and gloom. At the dawn of the 2015 model year look for the posh MKX to remain offered in a single trim boasting standard front-wheel drive (FWD), with intelligent all-wheel drive (AWD) once again returning as an option. Also expect this spiffy, comfortable and well-equipped mini-ute to sport standard 18-inch alloy wheels, heated power-adjustable mirrors, a power liftgate and a rear spoiler outside, with the usual leather upholstery, heated power-adjustable front seats, reclining rear seats and full power accessories gracing the inside. Cruise control and telescoping tilt-wheel steering also should return for 2015, as should rear parking sensors, Bluetooth-integrated Sync infotainment, a remote garage-door opener, dual-zone auto climate control, an electrochromatic rear-view mirror and memory for driver's settings. Entertainment, meantime, is expected to remain provided by a premium system incorporating a single-CD player, 10 speakers, satellite radio, a video monitor and a memory-card slot. And yes, MyLincoln Touch remains standard aboard the 2015 MKX, but this fussy touchscreen and Sync-interfaced technology is panned in reviews just as much as its MyFord Touch twin for being a bit too distracting, not to mention less than user-friendly. Despite its fountain of standard bling, the 2015 MKX is slated to again offer the Limited Edition Package with its 20-inch polished alloy wheels, upgraded leather upholstery, distinctive interior and exterior trim, and unique badges. Of course, the Premium Equipment Package, with stuff like a hard-drive-based navigation suite, a rear-view camera, blind-spot monitoring (BLIS), heated second-row seats, a power sunroof, the THX II audio system and premium leather upholstery, also remains available. Standalone options, meantime, will doubtless continue to include rear-seat DVD equipment, 22-inch polished aluminum wheels and genuine wood cabin accents. With no anticipated tweaks to the engine offerings upcoming in 2015, look for the 3.7-liter V6 engine of past versions to mate with a standard 6-speed shiftable automatic transmission in throwing down 305 hp and 280 lb-ft of torque. Expect, as well, 18 mpg city/26 highway in the standard FWD variants and 17/23 in AWD versions, while towing remains maxed out at 3,500 pounds with the available Class II towing package installed. Finally, standard safety equipment in the 2015 MKX iteration should once again include 4-wheel antilock brakes (ABS), traction and stability control, front side-mounted airbags, front and rear head airbags, front fog/driving lights, Sync-interfaced emergency assistance and Ford’s MyKey programmable speed- and audio-level limiting, aimed to curb the rambunctiousness of the teenage driver. A post-collision safety system and remote antitheft alarm are also expected to return, while optional safety features will doubtless again include adaptive cruise control and adaptive high-intensity-discharge (HID) headlights. What's your take on the 2015 Lincoln MKX? 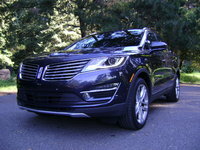 Users ranked 2015 Lincoln MKX against other cars which they drove/owned. Each ranking was based on 9 categories. Here is the summary of top rankings. 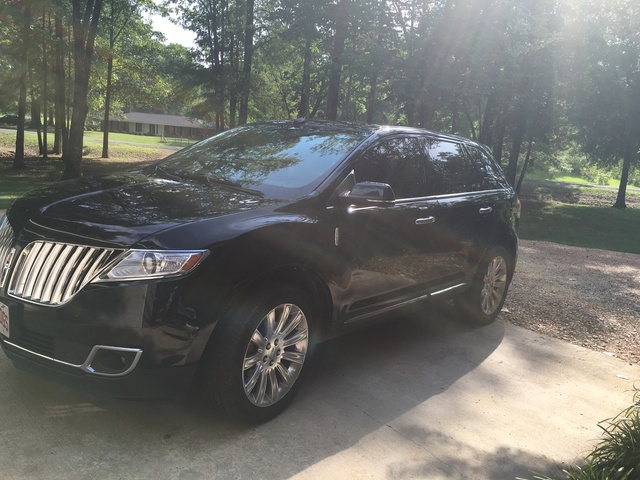 Have you driven a 2015 Lincoln MKX?